As May 18 quickly approaches, our appointment slots are filling up with students needing additional career guidance in preparation for graduation and job search. In particular, I have noticed a spike in the number of students coming in for mock interviews. Mock interviews are a great resource and I have yet to encounter a student who walked away feeling less confident in their interview skills. If you have not done one with us yet, I highly recommend it! It is so much better to make a mistake or fumble on a tough interview question with one of us in The Career Center than it is to learn the hard way and potentially lose a job opportunity. In addition to coming in for a mock interview, check out this article from the Huffington Post College section that discusses 7 interview do's and don'ts for the class of 2014. It's a great list to get you on your way to becoming an awesome interviewer! 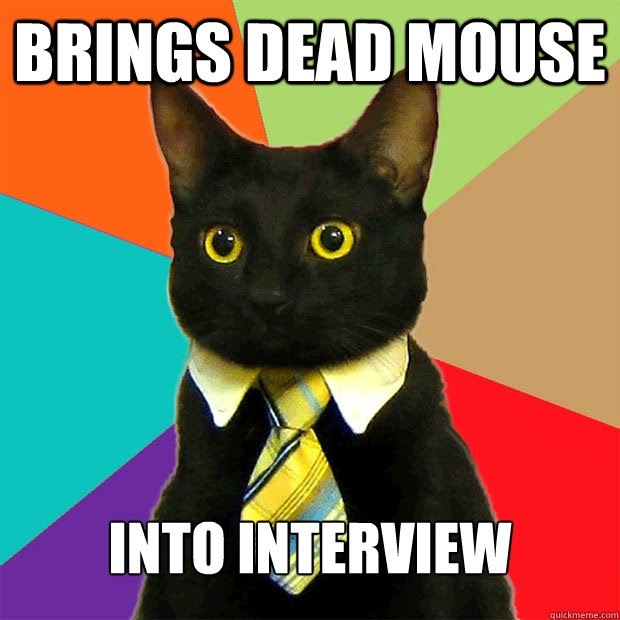 So, don't be like Business Cat and practice poor interview etiquette. 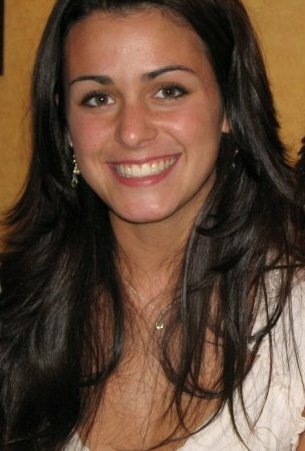 Give us a call at (516) 463-6060 to schedule a mock interview!